Shawn M. Tidwell – Financial Designs Ltd.
Shawn joined Financial Designs Ltd. (FDL) in 2015. As a Principal, he is responsible for new client development and serves as an advisor to high net worth families, family offices, and business owners. He specializes in assisting clients integrate insurance planning with wealth transfer, executive benefit and income tax planning. Prior to joining FDL, he was President of another firm that is also a member of M Financial, where he provided similar services to similar clients for more than six years prior to joining FDL. 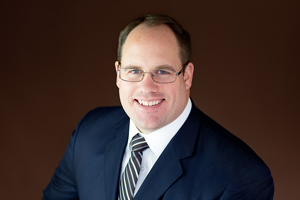 Shawn is a Certified Public Accountant (CPA) and worked at one of the “big four” accounting firms. He also previously worked as an investment advisor representative at a national investment firm. Shawn has a BS in Accounting from Bucknell University, where he graduated with honors. He also received a Master’s Degree in Taxation from the University of Denver Sturm College of Law LLM Program. Shawn is Past President of the Denver Estate Planning Council, a member of the Advisory Board to the Denver Foundation, a member of the Salt Lake and Rocky Mountain Estate Planning Councils. He also volunteers extensively in his church. Shawn lives in Heber City, UT. He primarily works in Utah and Colorado, but he serves clients nationwide. He enjoys backpacking, travelling, hunting and any activity with his son and two daughters.